Kittyhawk hail from Chicago, Illinois and feature members of Dowsing, Pet Symmetry, Joie De Vivre, and touring members from Into It. Over It., but don’t you dare call them a side project. 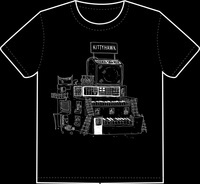 Instead, imagine the best parts of all those bands together in one band and you get close to what Kittyhawk sounds like. Frontwoman Kate Grube anchors the band with strong vocals and charming synth lines that float just above the guitars as the percussion pushes or drags the tempo to match the somber tones each song brings. 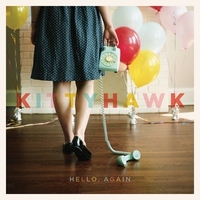 Kittyhawk are out to prove they are more than just “members of” your favorite band, and one listen tells you they’ve already done it.